Your event is our passion and creating a truly Fabulous experience is what we do best. 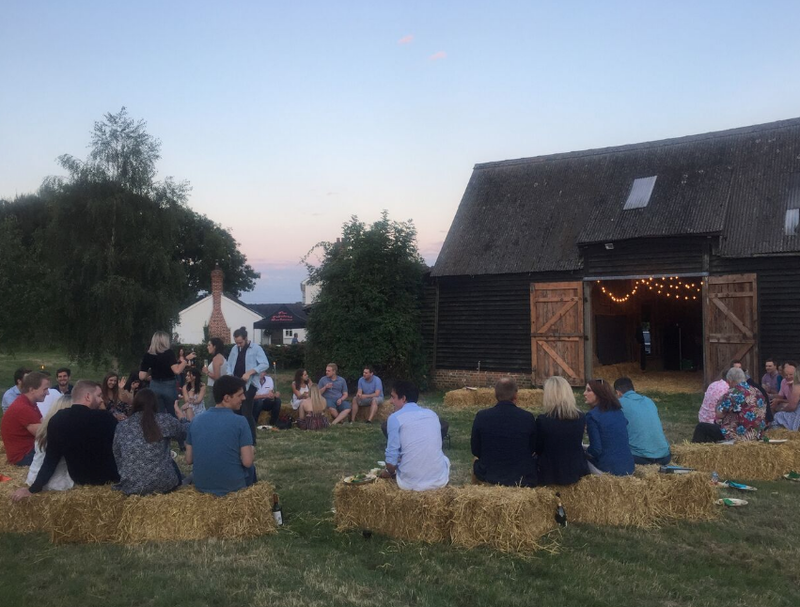 Whether you want us to provide a stunning summer BBQ for 100 guests in your garden, an experiential food marketing project, or create a unique festival style corporate conference, that’s what we do best! We can put together a corporate family fun day for 1000 guests, provide a company eats and drinks outside your corporate offices, or organise a spectacular gala dinner. If it’s an alfresco party on a terrace, or something somewhere that’s truly unique, the Fabulous team will use our extensive experience, contacts and venues to work with you, and make it memorable. There’s nothing more satisfying on a baking hot summer’s day, than the aroma of delicious meats popping, fizzing and sizzling on a charcoal BBQ, the true taste of a summer party. Paired with some live music, your guests will enjoy a sensory experience like no other. Once you’ve tried one of our Fabulous BBQ experiences the bar will be irreversibly raised. If you’re looking for corporate catering with a unique twist, a Fabulous BBQ provides the high-end dining experience a corporate conference calls for, delivering food everyone will love. Move away from a traditional sit-down meal, or beige buffet and liven things up with a world BBQ experience at your annual company conference. Whether you need help with a venue as well as event management and production, or simply just Fabulous food – all we need is an outdoor space and your brief. If you’re holding a team building event, company away day or a corporate summer party, we provide the perfect food solution and a range of venues who can host your event. You can see a list of corporate events we have catered here. Working with some of the biggest brands in the country we have delivered experiential pop-ups, as well as unique promotions and tours with our creativity, expert food logistics and consultancy. #SkyhighBBQ – the WORLDS FIRST BBQ on a crane at 100ft over London to launch Kenshoo’s new e-commerce product “taking your marketing to new heights”. #highfabulous! Giff Gaff — Hot Dog UK College Tour in a converted ice cream van! Talk to us about what we can offer your product promotion or brand activation with Fabulous food marketing and experiential options, and join the long list of Fabulous Clients who trust us to deliver. What better way to say thank you to your hardworking staff than having a BBQ feast in the outdoor space of your offices. We cater Fabulously for vegetarians and vegans too, so all your staff can enjoy the BBQ experience. Having delivered staff events at corporate offices for clients including Veolia, Nissan, PHD Media, The White Company, we know how to help you make your staff feel valued. Why not get in touch to find out what we can do for you and your company? Plates piled high with sumptuous meats, plentiful salads, artisan breads and sauces to tantalise the taste buds, a Fabulous BBQ is the perfect fuel for corporate team building, or company sports days. If you need more than just BBQ, we can help organise all the Fabulous fun you want on the day, and also have a range of venues where these can be hosted. Your staff will thank you for delivering something a little different, making it a day to remember. Contact us here. In 2016 we took Fabulous BBQ to Monaco, becoming the first caterer in the world to ever officially barbecue in the principality of Monaco for His Serene Highness Prince Albert and 250 guests. Taking the rustic charm of BBQ to a formal event was like the coming together of two art forms. Very fitting for an event to mark the opening of an art exhibition. If you are looking for something different for your Gala Dinner why not collaborate with us to create a truly unique experience. Request a Fabulous proposal. Throwing an annual garden party, or celebrating a special occasion and looking for an outstanding outdoor caterer, an abundance of professional experience and know how, as well as truly Fabulous food? All our Fabulous menus and drinks packages are the perfect way to put a smile on everyone’s face, wow your guests, and ensure everyone goes home raving about the Fabulous food they were served! We have experienced event organisers in house or can work with your party planner to make your event go smoothly and bring a high end outdoor dining experience to remember. And our kosher friendly menus and BBQ experiences offer everything you need for a wonderful bat or bar mitzvah at home. Contact us with your requirements and we’ll get working on your Fabulous proposal.